Costa Esmeralda beach is located in the central part of the state of Veracruz, on the Gulf of Mexico. The calm water with low, rolling waves, makes this the perfect place to relax and enjoy the sun and good food. This beach also caters to those with a more active lifestyle, as it is perfect for snorkeling and scuba diving, water skiing, sailing and fishing. Playa Paraíso is a beach located near the Mayan ruins of Tulúm in the State of Quintana Roo. It is roughly a one hour and 45 minutes drive from Cancun, along the same Caribbean coast. The beautiful views, and laid back attitude make this beach unique. Scuba diving and snorkeling are popular activities. Puerto Morelos is a small town located in the state of Quintana Roo, also along the Caribbean coast. Its beaches are famous for the large coral reef located just in front of them. Snorkeling and scuba diving are the most popular activities, along with fishing. 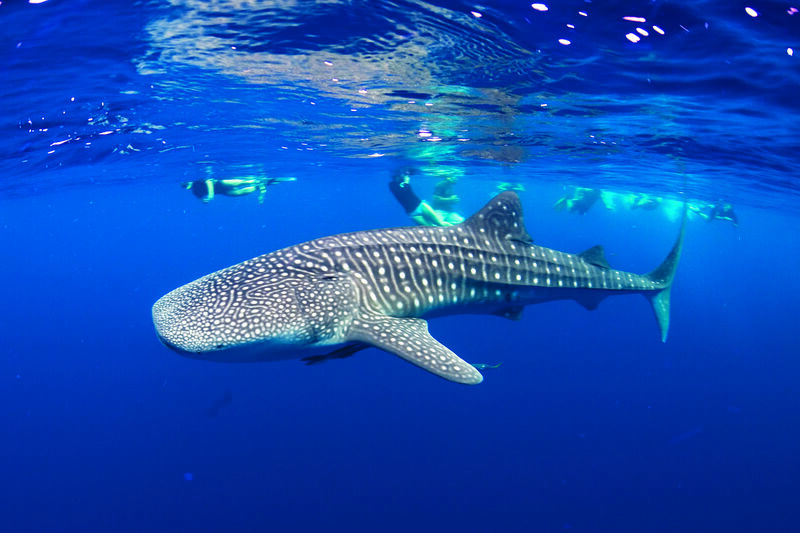 Depending on the season, visitors can come face to face with whale sharks, sailfish and bull sharks. Apart from the Mexican Caribbean, Los Cabos is probably the best-known of Mexican beach destination. Cabo San Lucas and San José del Cabo are two small towns located on the southernmost tip of the Baja Peninsula. Among the more popular beaches are Playa Médano and Playa del Amor. 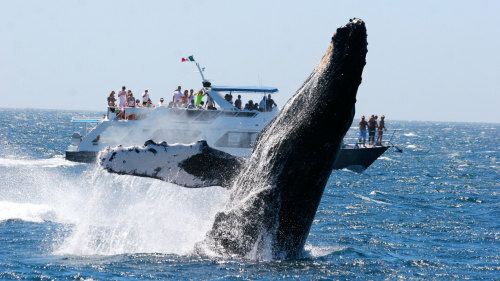 Popular activities include whale watching, fishing and snorkeling. Ixtapa and Zihuatanejo are two neighboring towns in the state of Guerrero, on the Pacific coastline. They are famous for their beautiful sandy beaches, and delicious gastronomy. Playa las Gatas is a well-known beach, popular with scuba divers and snorkelers due to its numerous corals and colorful fish. 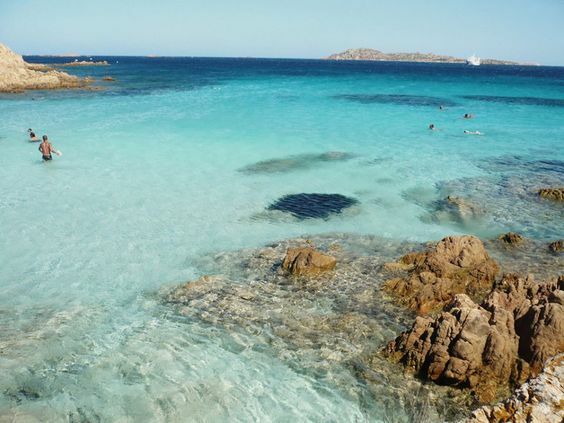 Another of its famous beaches is Playa La Ropa, where kayaking and sailing are commonly practiced. Mazunte is located in the state of Oaxaca, along the Pacific coast. It is a small stretch of sand, 1 km long, well-known for the large number of sea turtles that nest there. To protect them, the Mexican National Turtle Center was founded. After the turtles nest, the eggs are collected by conservationists, and visitors can participate in the liberation of the hatchlings. Huatulco is also located in the state of Oaxaca. It is known for its beautiful beaches and clear water. Its rich biodiversity makes it an excellent place for scuba diving and snorkeling. There is also an annual sailfish fishing tournament. The surrounding jungle is also a prime location for wildlife observation. Akumal is located in the state of Quintana Roo. Akumal means “the place of the turtles” in Mayan. 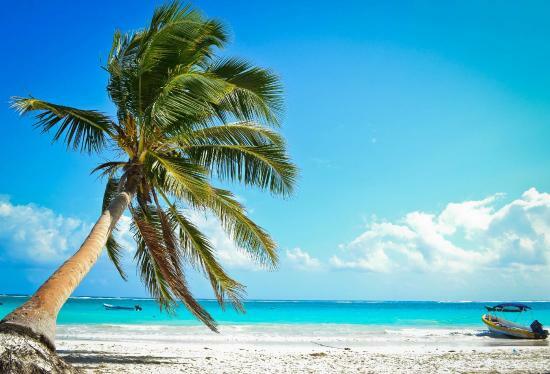 Visitors flock to this beautiful white-sand beach on the Caribbean to look at the turtles, which come very close to the shore to feed on the sea grass that grows there. Snorkeling is the most popular activity, but it is also an excellent place to relax under a palm tree and simply take in the beautiful view. Holbox is an island off the coast of Quintana Roo. It is much less touristic than Cancun, and thus has a much more relaxed atmosphere. It is a popular destination for whale shark diving, bird watching and kite surfing. Zicatela is a beach located in the state of Oaxaca. Its high waves have made it famous among surfers. In fact, it has been ranked among the top places to practice surf in the world. Both national and international surfing competitions take place each year on this beach.